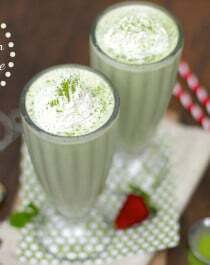 This Healthy Matcha Green Tea Milkshake has all the flavor and texture of regular milkshakes but without all the calories, fat, and sugar. 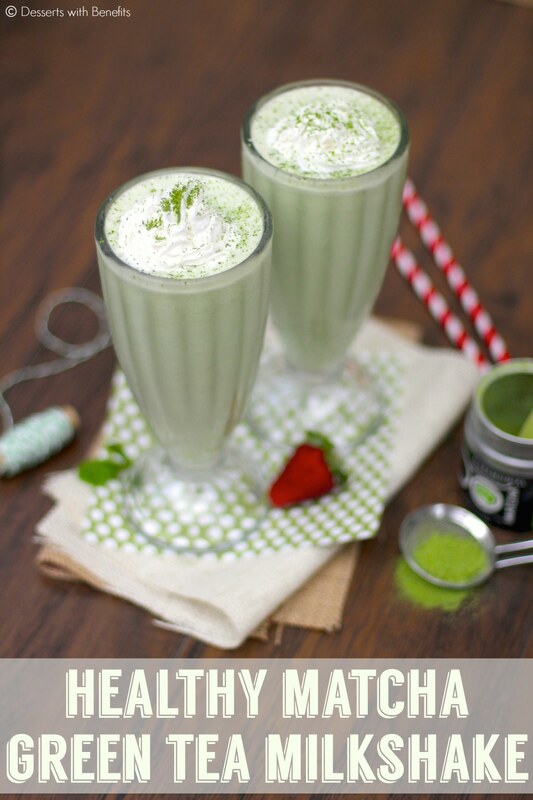 It’s thick, creamy, sweet and naturally green from the matcha green tea powder… no ice cream, sugary syrups or artificial food coloring needed whatsoever. Add all of the ingredients to a blender. Puree until smooth. Serve with all natural whipped cream (avoid brands that use hydrogenated oil, I use Soyatoo Rice Whip) and an extra dash of matcha! I really like the combination of matcha + almond so sometimes I add a spoonful of Almond Butter to the recipe. You can use any nut butter you like, really, like cashew butter, Walnut Butter, Macadamia Butter, etc. I wouldn’t recommend peanut butter, sunflower butter or soy butter though, because those flavors don’t pair well with matcha and they will overpower the overall flavor. if one were going to use plain psyllium husk powder, how much would one use instead of the homemade stuff 😉 ? i love MATCHA. i am drinking it right now! Instead of the Homemade Metamucil, just use 1 to 1.5 tsp of psyllium husk powder. 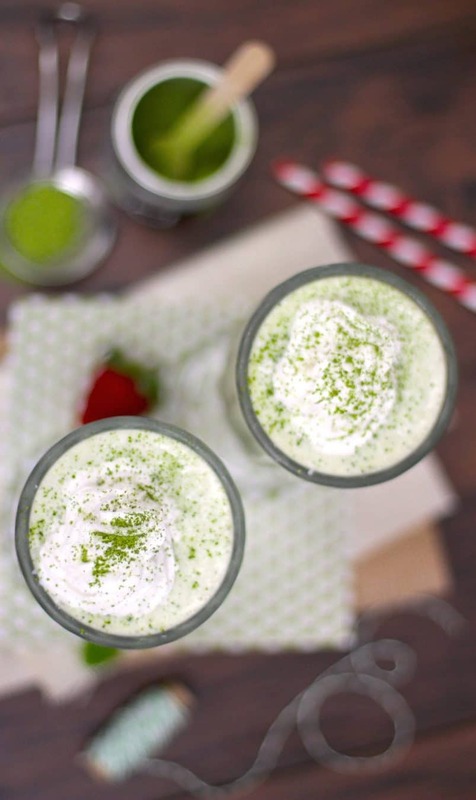 Matcha is such a good green tea powder! I love getting the traditional Japanese Matcha. I’m not sure if the kind I use is traditional, but I definitely want to look into buying the proper stuff some day! I love you and your recipes! I thought the coconut ice cream in your other post sounded good and now you bring a milkshake to the party. I am really excited to try this one! Thanks for sharing such awesomeness!